The web design has been highly influenced by the creativity and technological advancements thereby taking it to the next level in 2017. Focus on SEO i.e. target the visitors as well the browser. Develop quality content for the visitors and include all necessary SEO tags and elements, including schema. It can provide commendable results. Many visitors may need conversion to understand your site. Do not neglect this aspect. Implement tools to create landing pages in the design. These landing pages can hold the visitor and it may sometimes lead to a purchase too. It is one of the best tools available. Never miss an opportunity to leverage the power of social media. Synchronize all the social media platforms in the design to increase the online presence and traffic. This aspect should always be given a priority. On-site security should never be compromised. The design should include privacy rules and basic fundamentals like basic security checks. Use of 3D elements like animations and illustrations improves the user experiences and the creativity. 3D is expected to create a much larger impact and the use of AR/VR will add to its beauty and impact. There is a growing need for designs with bright/neon colors that capture the visitor’s attention and create a lasting impact. The block style gradient creates a very simple yet attractive web design. The design would be made keeping in mind the data that it will cover. The focus should be to provide the most important decision enabling data points to capture the attention of the visitor and engage them. At the end of the day, evaluation is a must. The site design should be such where the progress can be tracked. The indicators that show if a website is doing well i.e. traffic, goals, conversion, etc. should be considered in the design. 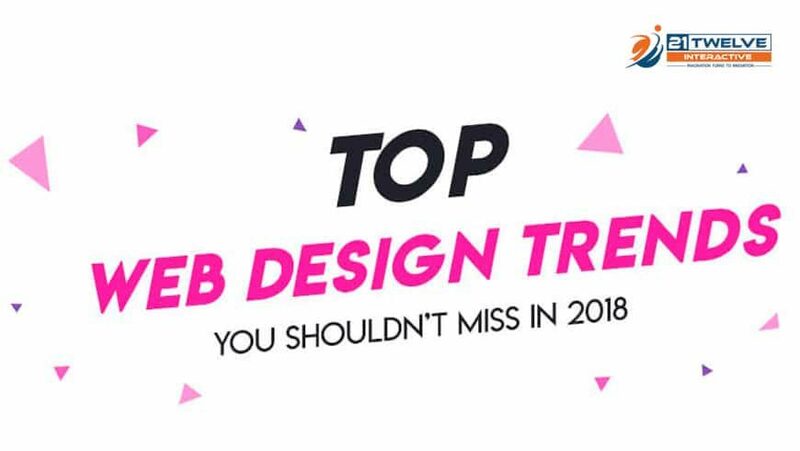 All the above trends highlight that Responsive Website Design, Corporate Web Design, Responsive and mobile friendly web design are things that really count. The top corporate website design companies consider all these trends and work on their websites to beat the competition and stay at the top! Follow these trends and get way ahead of your competitors!